We’ve had a busy and wonderful schedule lately! 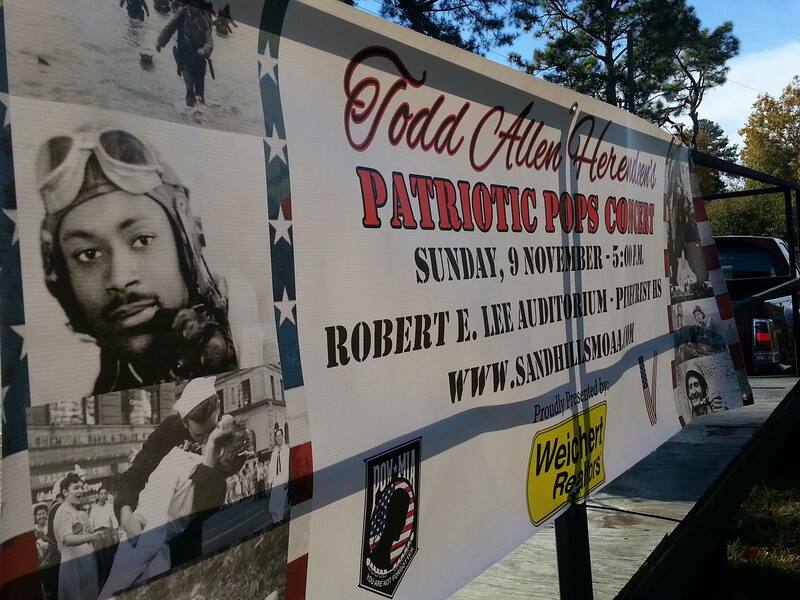 We had a great veterans day weekend in Southern Pines, NC. 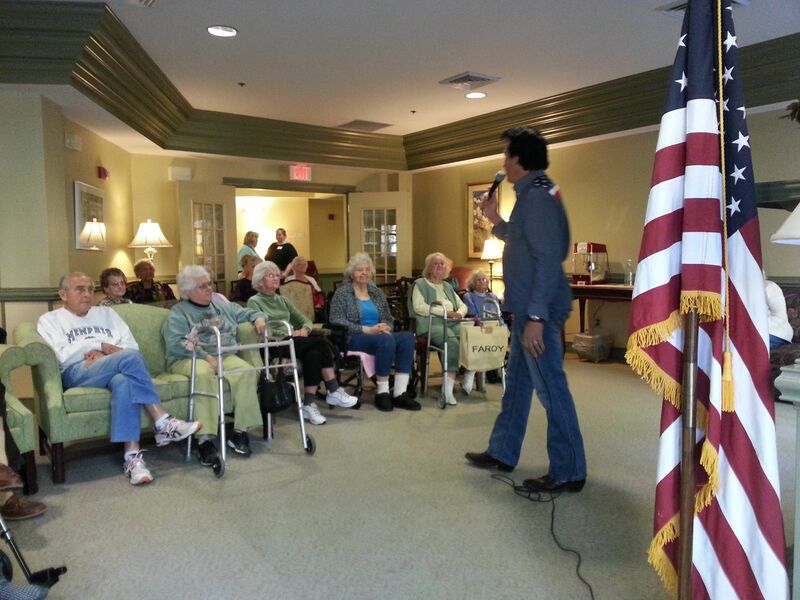 Their love for veterans is highly visible and we loved being a part of it. We were in Alapaha, GA (great to go back!) 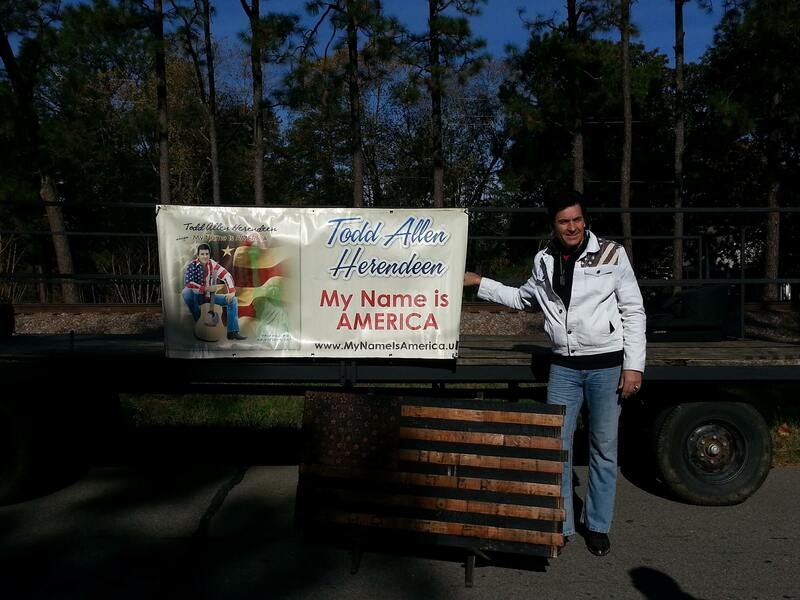 on Friday night and drove through to be part of the veterans parade Saturday morning. So glad we did, it was a great parade, full of heroes and all about heroes! 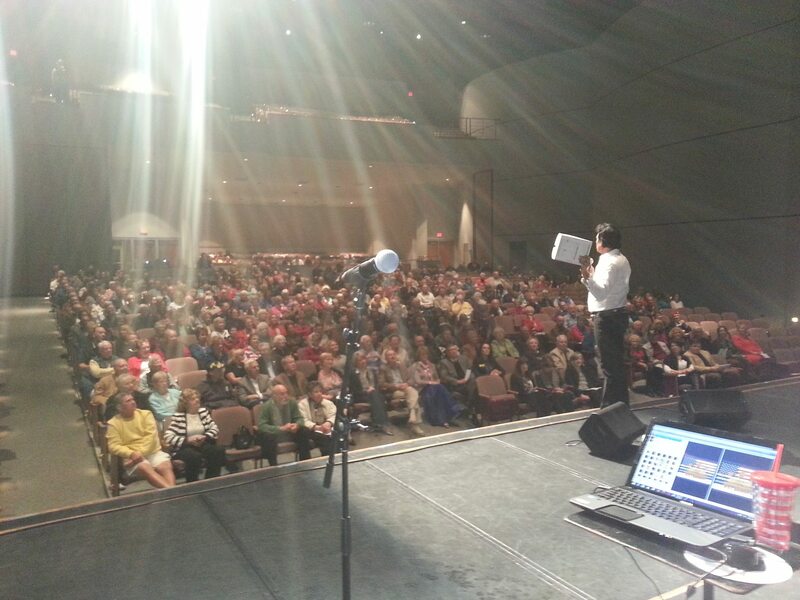 The big concert which benefited many local veterans organizations, was a packed house. Great job, all you hard workers who make this happen, you know who you are! 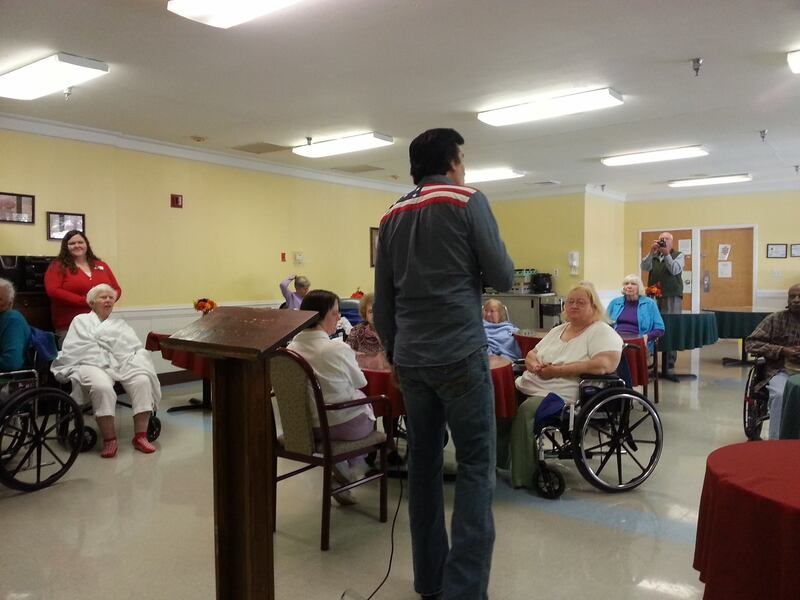 We had a chance to visit a couple nursing homes and personally visit and thank the veterans in there and let them know the world is not forgetting them or their service! Wow, talk about being blessed and learning new things! Visiting with those veterans was amazing. 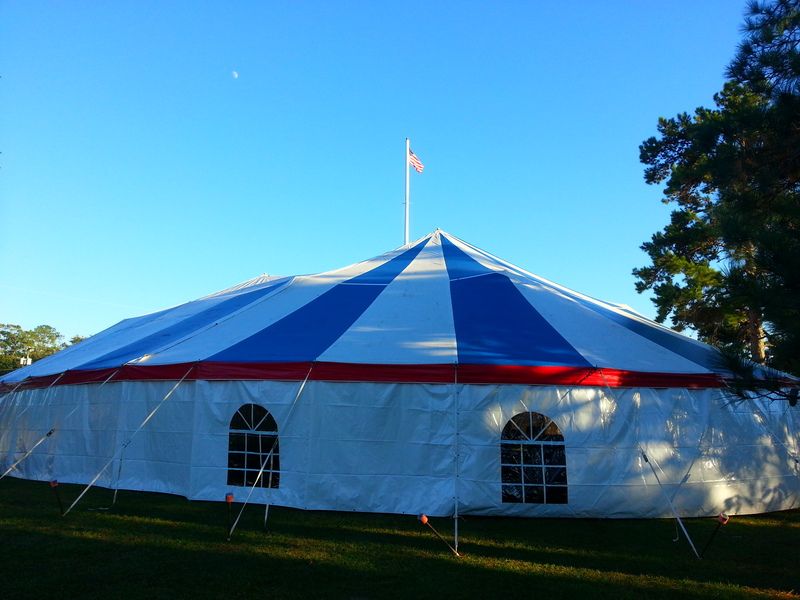 We did a God and Country concert in Tallahassee under the tent on Nov 1 and just want to thank all who worked hard to put that on! 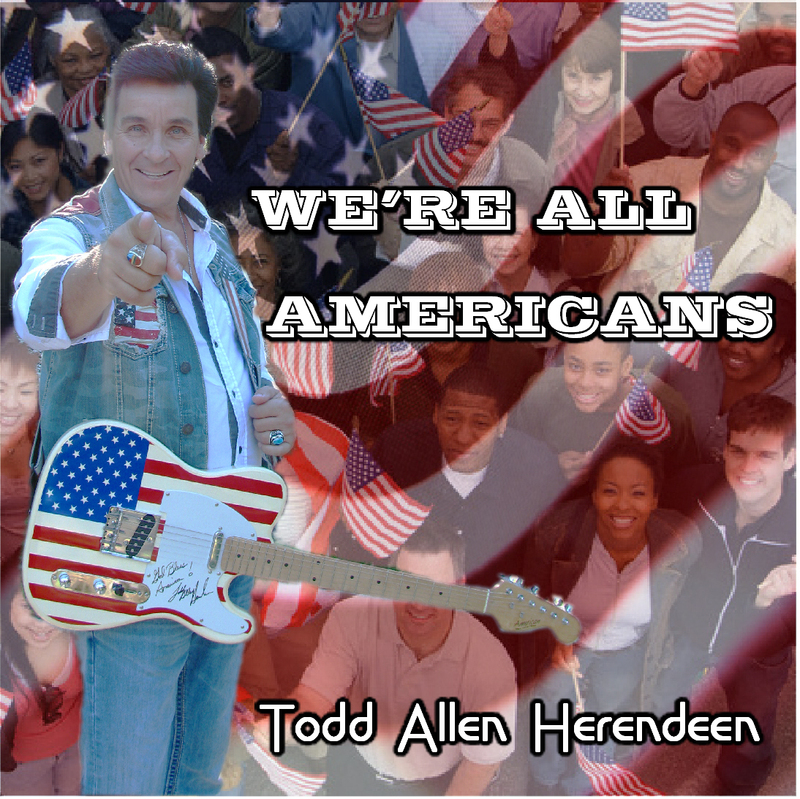 Our New song “We’re All Americans” is now IN STOCK on CD and DVD! Order yours today by going HERE. Please Share the following link by email or Facebook, it really helps us little musicians out here in the world of Big money for Major record labels! We can’t afford the major labels and marketing, so your help makes a difference! Here is the video link on YouTube: http://www.youtube.com/watch?v=sv3wdMqKAj8. We are excited about Our one and only Christmas Concert this year! Todd and the band will present a very special ‘Patriotic Christmas Concert.’ Fun show with a mix of country, rock, Gospel, Patriotic and Christmas music! All veterans present are honored and receive a special certificate! Bring a small gift item for Operation Gratitude so we can send it to our troops! Tickets $15. Doors open at 6 pm and show at 7pm. General Admission seating. 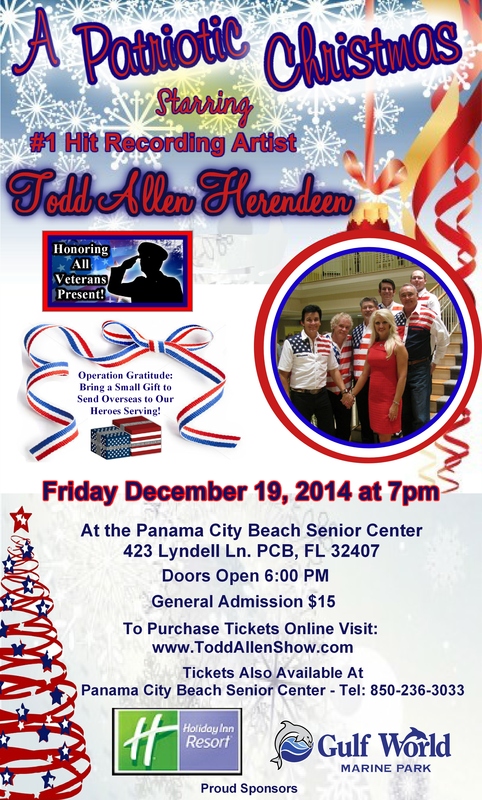 Purchase tickets online at http://www.toddallenshow.com or in person at the PCB Senior Center. Info call 850-236-3033. Our Winter Dinner Show Venue will be Boardwalk Resort Convention Center Ballroom again this year! We are so excited to bring you 12 dinner shows there this winter in January and February! January 6, 13, 20 and Feb 3, 10, 17 and 24 will be our Tribute to the Legends show with Johnny Cash, Roy Orbison, Neil Diamond, Elvis and More. January 22 and Feb 5, 12, 18 and 25 are all Tribute to Elvis shows. Tickets $10 for general admission or $20 for Dinner and Show! All Tuesday shows are Tribute to the Legends shows with music from Johnyy Cash, Roy Orbison, Neil Diamond, Elvis and more. All Wedenesday or Thursday shows are Tribute to Elvis only. 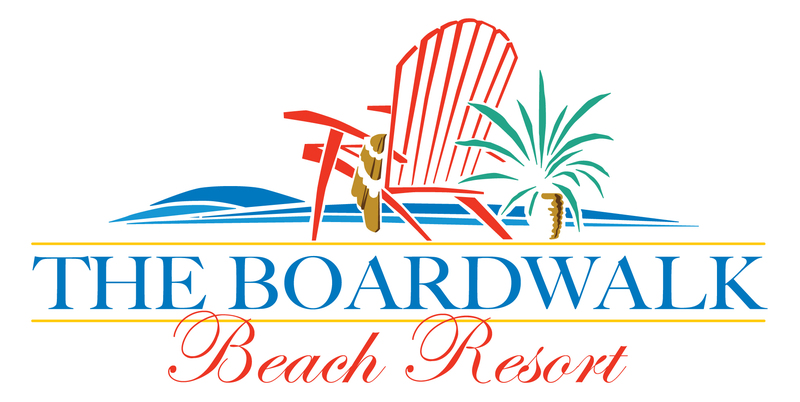 The Boardwalk Beach Resort Convention Center Ballroom -9600 S Thomas Dr, Panama City Beach, FL 32408! Call 850-234-3484 for reservations. Doors open at 5:00pm and show at 7:30pm. Ring in the New Year beachfront, over looking the Gulf of Mexico from the SeaWatch at the Holiday Inn Resort! The Shindig including the room, dinner, party – featuring a live band, DJ, party Favors, and a Toast, kids’ party – featuring fun arts and crafts, pizza, movies, and more, and breakfast all starting at only $199! January 8, 2015 Thomaston, GA Ritz Theatre-Tribute to the King birthday bash! 706-647-5372 for info. Doors open at 6:45 pm and showtime is at 7:30pm. Tickets available at the theatre and at the Thomaston Upson Arts Council gallery as well. February 7, 2015- Gulf World Marine Park, Panama City Beach, FL. Our big Winter Concert Series Concert! Don’t miss this show in this beautiful 650 seat theatre! Call 850-234-5271 for tickets. February 8, 2015- Woodlawm Methodist Church, Panama City Beach, FL. Details to come soon. February 9, 2015- Oasis Worship Center, Panama City Beach, FL. 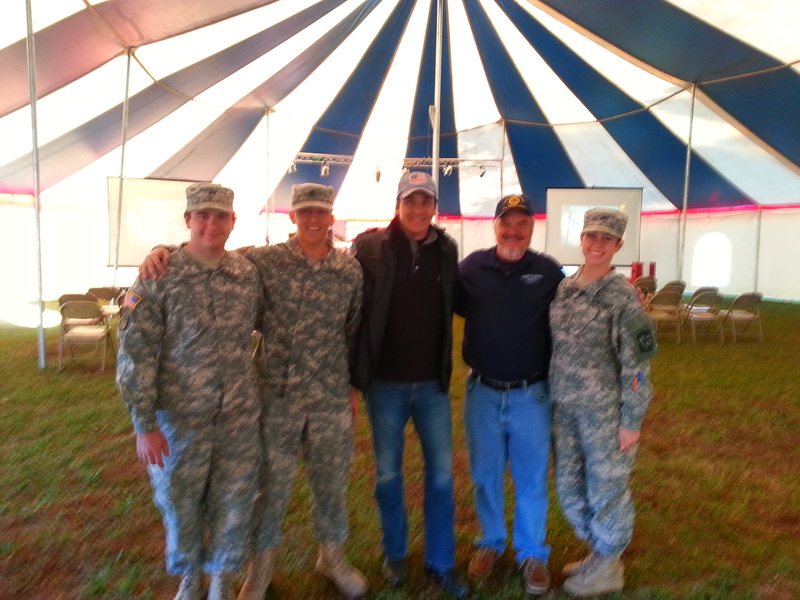 Todd and the band do their God and Country Music Ministry Honoring Veterans. Details to come soon. February 28, 2015- Apalachicola, FL, Dixie Theatre. 2 Shows 3pm and 8pm. Tribute to the Legends of Music show! Roy, Johnny, Elvis and more! Showtime 8pm. We sure hope you’ll have a wonderful Thanksgiving filled with God and love. Thank you for all your love and support and help in keeping us doing what we do! We love you! P.S. Feel free to share this email or post with friends, so they’ll know our schedule too!